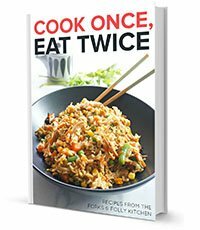 I started to really get into food when I was in my early 20’s – most exclusively due to the Food Network. Rachael Ray taught me how to chop an onion, peel a garlic clove, and how to describe cilantro (verdant, in case you were wondering). Alton Brown taught me that there’s a reason behind the madness. That certain heats at certain times in the cooking process matter, and resting meats before slicing is important. And Sandra Lee, well, she taught me that making things from scratch isn’t always necessary. Sometimes, the semi-homemade way is just as good (if not better) than trying to do it all yourself. If the pictures from our Soup Toppings Bar doesn’t prove the case, I don’t know what will! Semi-homemade is the way I choose to cook a lot for my family. If it’s pasta night, I often use a jarred marinara sauce, and toss in a few extra ingredients (like diced pancetta and fresh basil) to add the homemade touch. On taco night, I use pre-made spice blends and jarred salsas to bring some flavor to the meal. 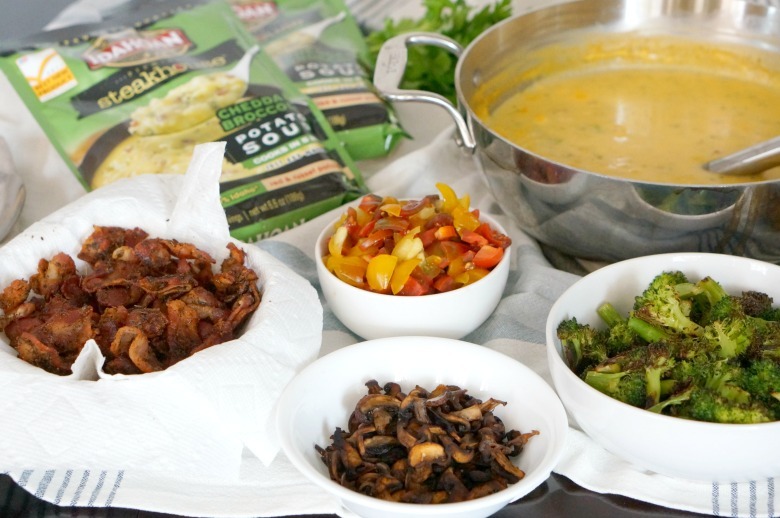 And when it comes to soup night, I rely on products like Idahoan® Steakhouse® Soups to make dinner easy on me so I can spend my cooking time putting together a fun Soup Toppings Bar! 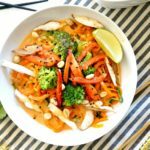 Why serve a Soup Toppings Bar? 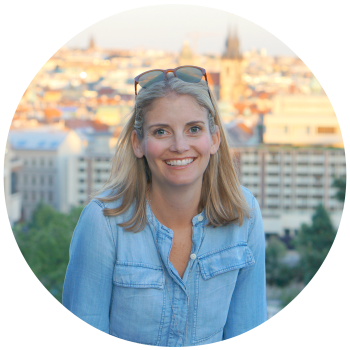 I have a list of go-to toppings that are not only easy to make and foodie-friendly, but they’re versatile – you can use these toppings for so many different themed toppings bars. 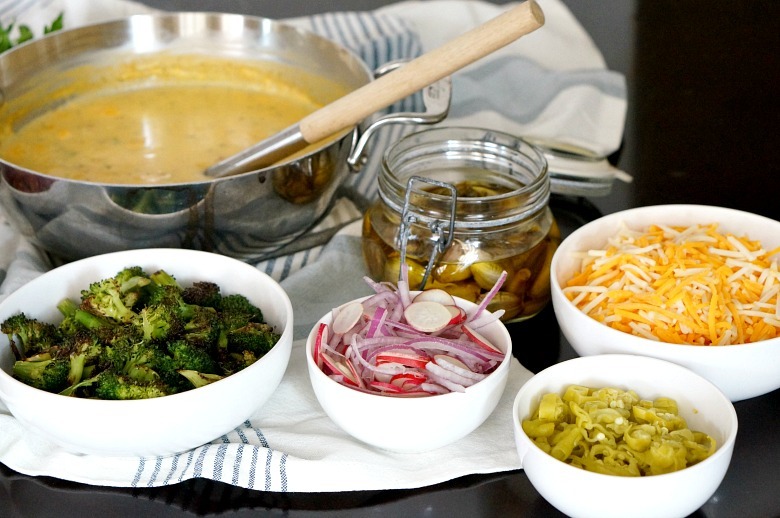 Tonight we’re serving these toppings Soup Bar Style, along with Idahoan Steakhouse® Cheddar Broccoli Soup, but you’ll find these ingredients are fabulous for baked potatoes, mac ‘n cheese, scrambled eggs, and pizza bars, too. Soup Bar Menu: herbed bacon, garlic confit, cremini mushroom chips, roasted broccoli florets, sweet cherry tomatoes, cheddar cheese, sliced red onions & radishes, and peperoncini. 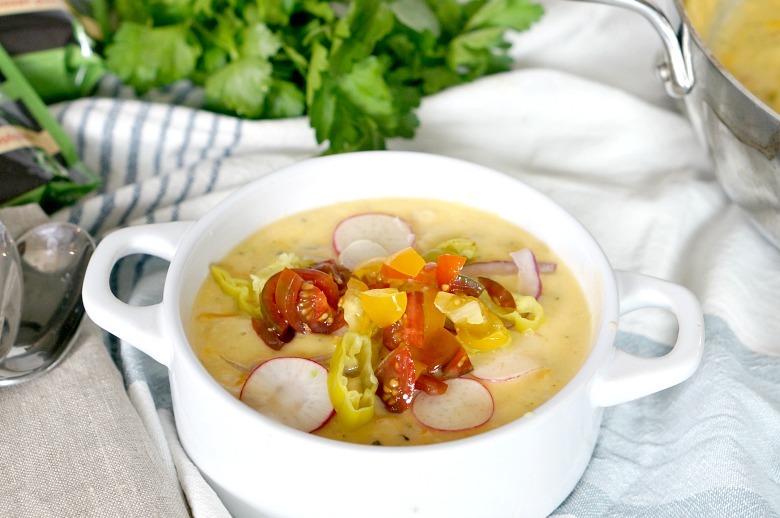 Cheddar Broccoli Soup topped with Sliced Red Onions & Radishes, Cherry Tomatoes, and Peperoncini. 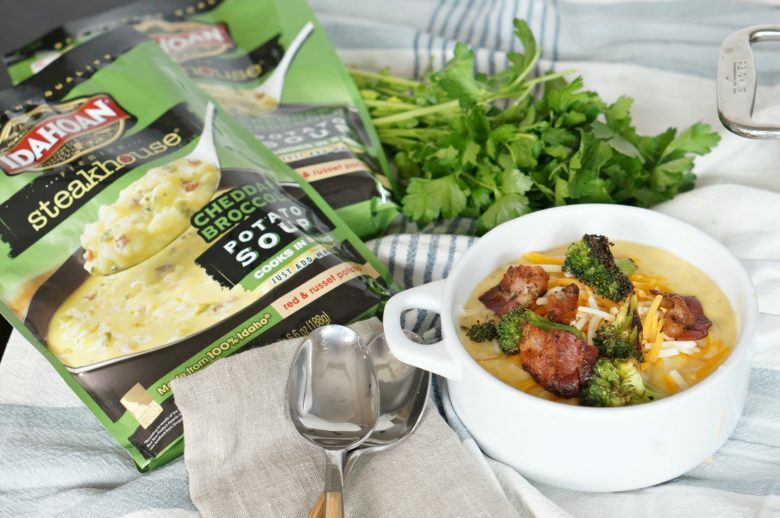 Cheddar Broccoli Soup topped with Sliced Herbed Bacon, Roasted Broccoli, and Cheddar Cheese. 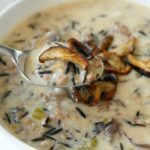 Cheddar Broccoli Soup topped with Cremini Mushroom Chips and Garlic Confit. 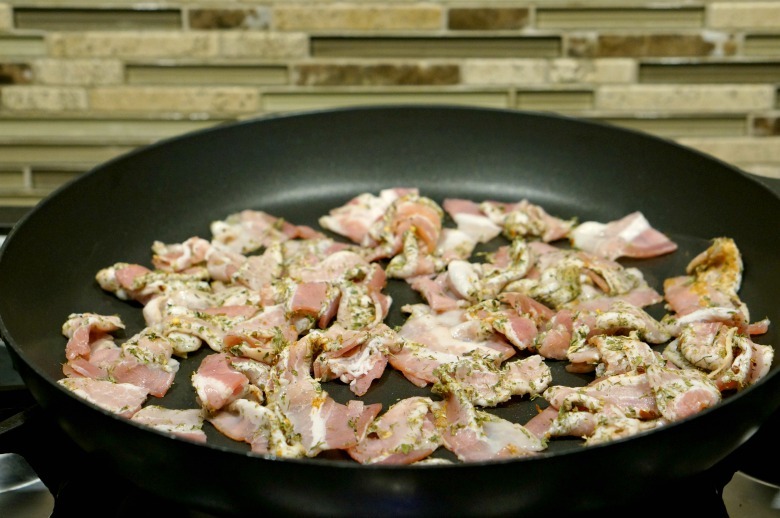 Herbed Bacon – Cut 1 lb. bacon into 2 inch pieces. Separate the slices and add to a gallon sized storage bag. Toss in 1 tsp. dried oregano, 1 tsp. dried parsley, 1 tsp. dried dill and 1/2 tsp. garlic powder. Shake to coat. Preheat a skillet over medium-high heat and add the seasoned bacon. Cook, stirring often, until golden and crispy. Remove into a paper towel-lined plate or bowl to serve. Garlic Confit – Preheat oven to 250℉. 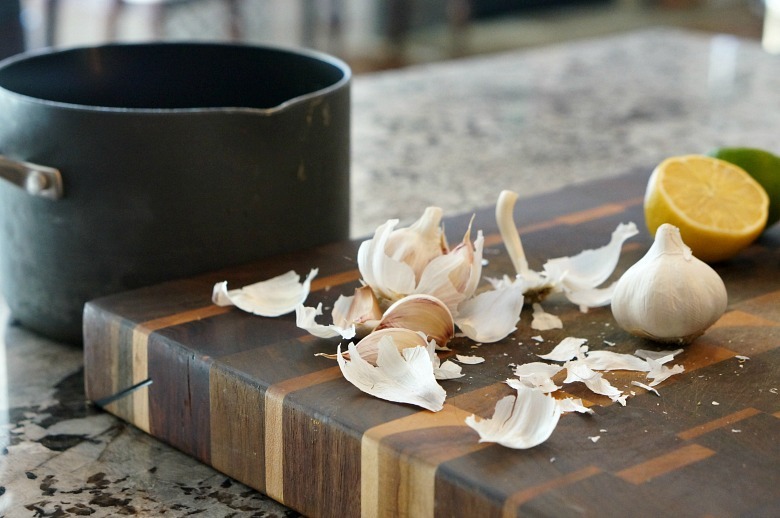 Place unpeeled cloves from three garlic bulbs into an oven-safe sauce pan with a lid. 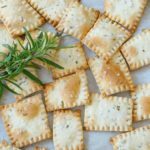 Pour 1 cup of olive oil over top and add a few sprigs of fresh rosemary along with two bay leaves. Cover and place in the oven to cook for 75 minutes. 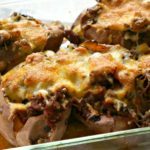 Remove from the oven and allow to cool to room temperature for serving. Both the garlic cloves squeezed out of the peels AND the oil make great toppings for any bar! Cremini Mushroom Chips – Preheat oven to 450℉. Thinly slice 8 oz. 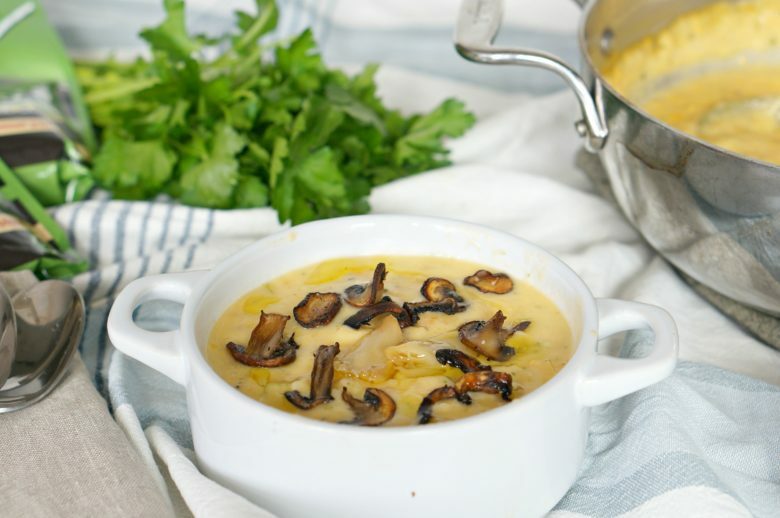 cremini mushrooms and toss with 1 Tbsp. olive oil, salt and pepper. 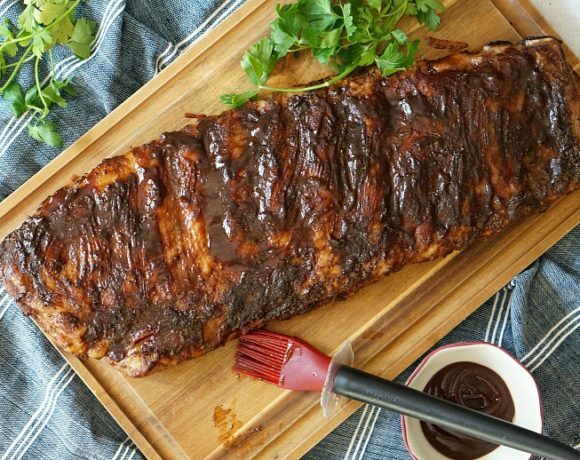 Pour out onto a baking sheet and cook for 8-10 minutes. 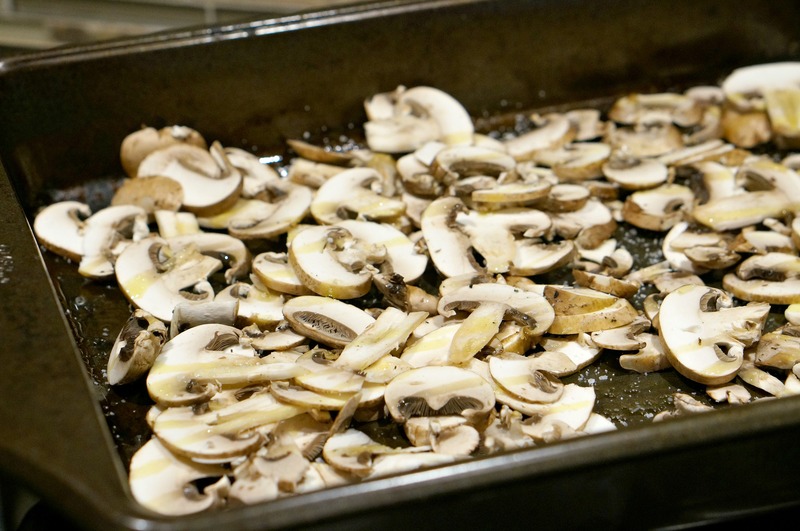 Flip the mushrooms and return to the oven until no liquid is left on the baking sheet and mushrooms have a dry texture and deep brown color. Roasted Broccoli – Preheat oven to 450℉. Add 12 oz. fresh broccoli florets to a baking sheet and drizzle with olive oil and salt and pepper to taste. Roast for 20-25 minutes, tossing occasionally. 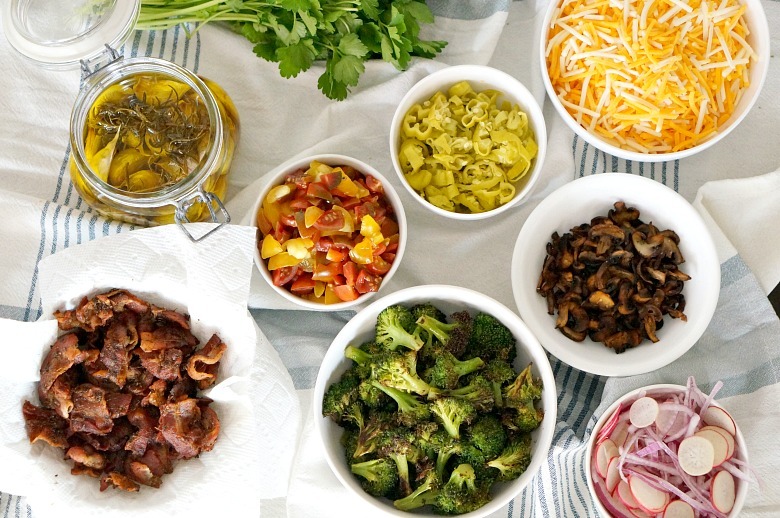 Serve these toppings along with: very thinly sliced radishes and red onions, drained and sliced peperoncini, chopped cherry tomatoes (try using several colors for a visual pop), and of course… cheese. 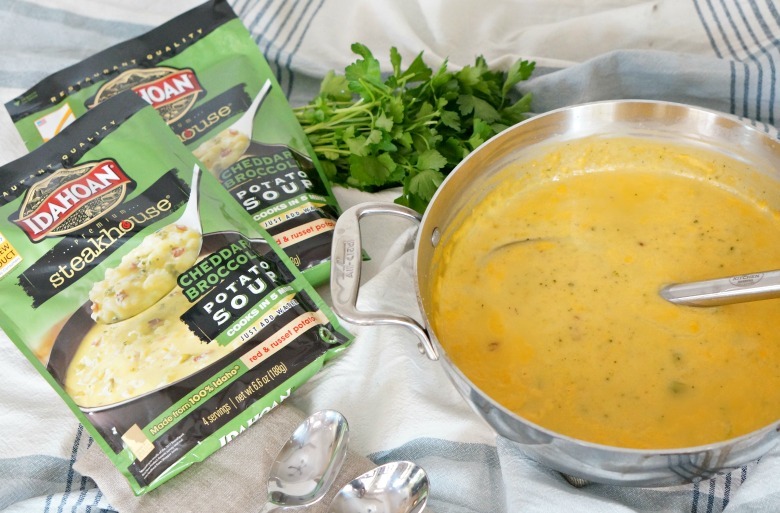 Idahoan Steakhouse® Soups deliver the slow cooked taste of comfort-food in just minutes. 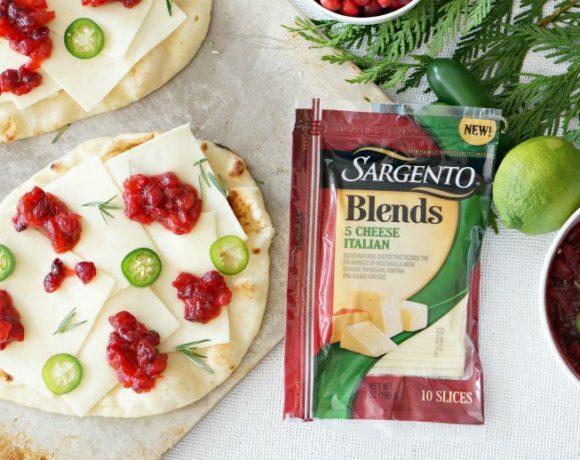 With flavorful seasonings and rich cheeses to provide a creamy, hearty taste in every spoonful – all you have to do is add water. And, of course, some great toppings…!!! Which combo are you most excited to try?